Ninety-five years ago this month, in May 1919, a remarkable woman called Eglantyne Jebb, and her sister, Dorothy Buxton, changed the world. Many years ago, I worked as a rather struggling corporate fundraiser at Save the Children. One day I came across a line written by Eglantyne, the charity’s founder, when she was also finding it hard work to raise funds. 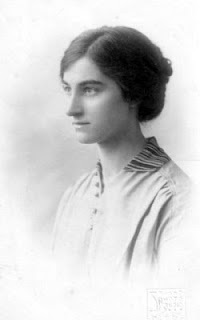 ‘The world is not ungenerous’ Eglantyne wrote, ‘but unimaginative and very busy’. That struck a chord with me, and I became rather intrigued about this woman, who spoke with such immediacy but who is so little known today. 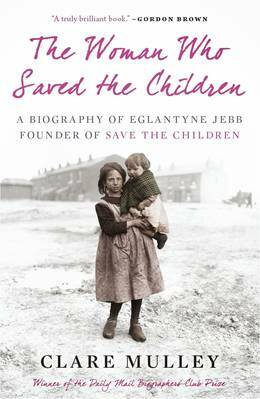 In 2001 I went on maternity leave to have my first child - thereby showing far less dedication to the cause than Eglantyne, who never had children of her own and worked tirelessly for the charity until she died. As I had two weeks before my due date, I decided to spend a some time finding out a bit more about Eglantyne. Looking through the papers in Save the Children's archive, then in the charity’s basement, I came across the leaflet below. Although entitled ‘A Staving Baby’, the photograph actually shows a little girl from Austria who is two-and-a-half year old. Her disproportionately large head, compared to her body, is the result of malnutrition. In the top right hand corner you can just see Eglantyne’s scribbled word ‘suppressed!’ The exclamation mark shows her personal indignation at the policy of the British Liberal government to continue the economic blockade to Europe after the First World War as a means of pushing through the harsh peace terms of the Treaty of Versailles. Eglantyne believed that the British public was unaware of the terrible human cost of this policy and set out to change things. In the spring of 1919 she was handing out these leaflets in London's Trafalgar Square, a traditional site for public protest. One account even has her chalking up the pavements with her messages ‘Fight the Famine’ and ‘End the Blockade’, in suffragette style. Eventually, the government had her arrested. 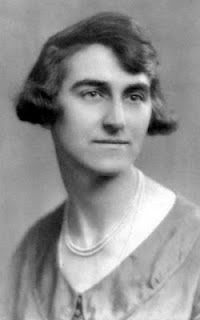 When her case same to court that May, Eglantyne knew that legally she did not have a leg to stand on as her leaflets had not been cleared by the government censors under the Defence of the Realm Act, which was still in place. 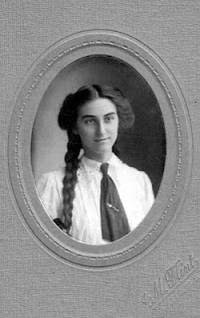 Nevertheless she insisted on conducting her own defence and, focusing on the moral case, she gave the court reporters plenty to pad out their stories with. The Crown Prosecutor is the only person in this story with a name to rival Eglantyne’s. He was called Sir Archibald Bodkin, and he did not spare Eglantyne in his condemnation. She was found guilty and fined £5. ‘This’, she wrote to her mother, ‘is the equivalent of victory’, because she could have been fined £5 for every leaflet she had distributed, over 800, or even been given a custodial sentence. Furthermore, after the session had officially closed, but before the court had been cleared, Sir Archibald came over and pressed a £5 note, the sum of her fine, into Eglantyne’s hands. Technically she had been found guilty, but clearly in the Crown Prosecutor’s eyes Eglantyne had won the moral case. This would be the first donation towards a new fund that Eglantyne and her sister Dorothy now vowed to set up – the ‘Save the Children Fund’. As you can see from the photo above, of the front page of The Daily Herald, the British newspapers gave the story prominent coverage. Eglantyne was also featured in The Times, The Mail, The Mirror and The Guardian. But Eglantyne knew that, pleasing though this coverage was, publicity alone would not feed the starving children of Europe. Determined to capitalise on the publicity, she and Dorothy decided to hold a public meeting and see if they could win further support for the cause. 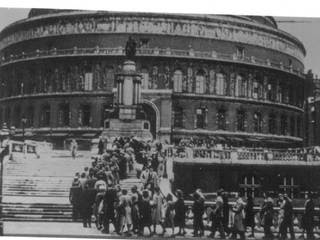 Being ambitious women, they booked the biggest venue they could find: the Royal Albert Hall. Reports tell us that in the event, there were not enough seats in the hall for the numbers of people who arrived. However, to their horror, Eglantyne and Dorothy soon realized that many of the audience had arrived with rotten fruit and vegetables to throw at the ‘traitor’ sisters who wanted to give succour to 'the enemy'. 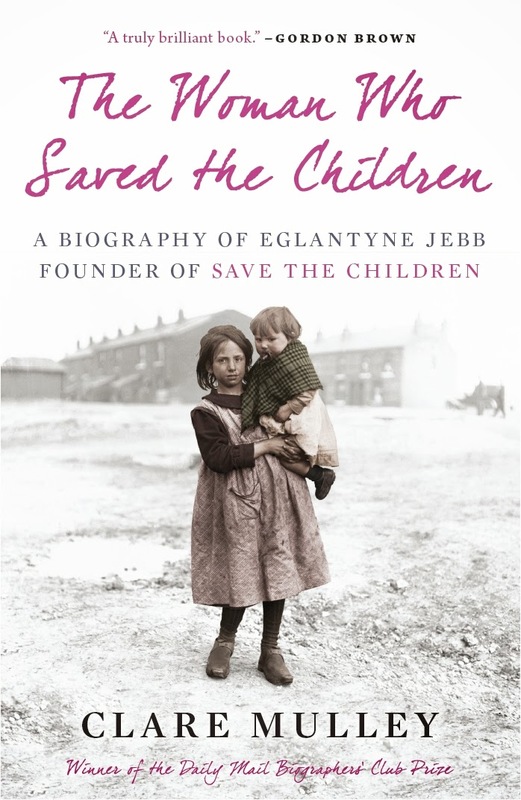 At first Eglantyne nervously mumbled her words, but her voice rose with her passion, until she called out; ‘Surely it is impossible for us, as normal human beings, to watch children starve to death without making an effort to save them’. The crowd in the hall were shocked. Then, in the silence, a collection was spontaneously taken up.